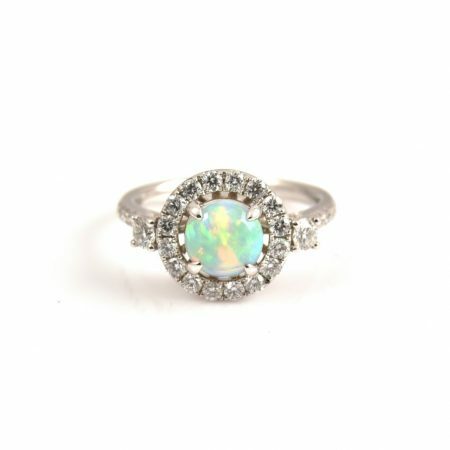 An 18K white gold opal and diamond halo ring. Featuring a 0.79ct round opal, surrounded by diamonds claw set into a halo, on the shoulders and into the band. *This price includes adjusting the size +/- 2 sizes. 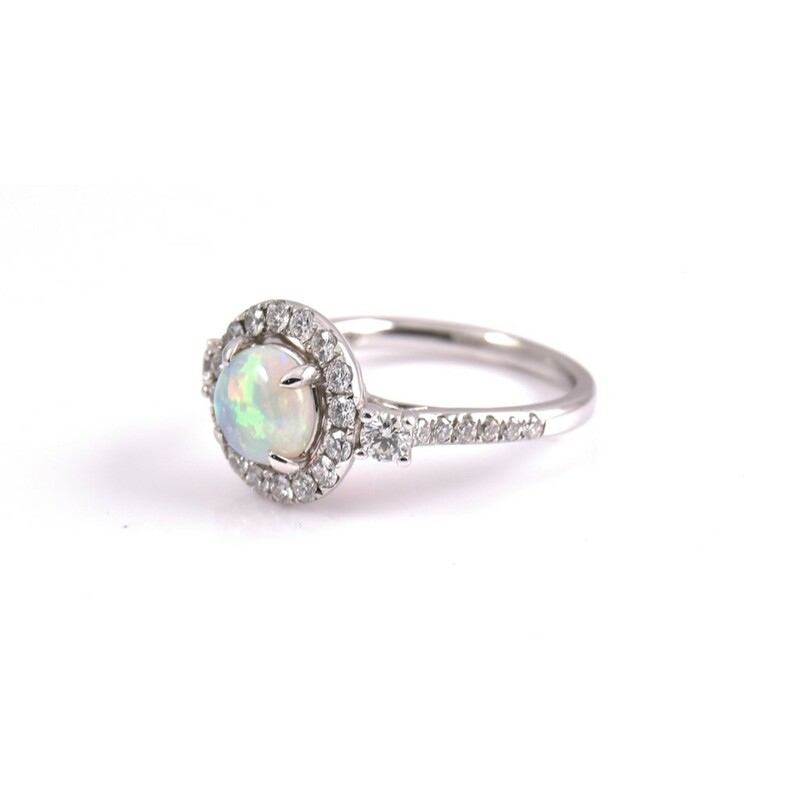 If you require a size that falls out of this range, please contact us directly for a quote.